Maharashtra govt. is inviting online applications for RTE Maharashtra Admission 2019-20 / RTE 25 Maharashtra admission 2019 for students. Accordingly, students can make registration by filling RTE Maharashtra Admission 2019 Online Form, check last date, school list and admission process. 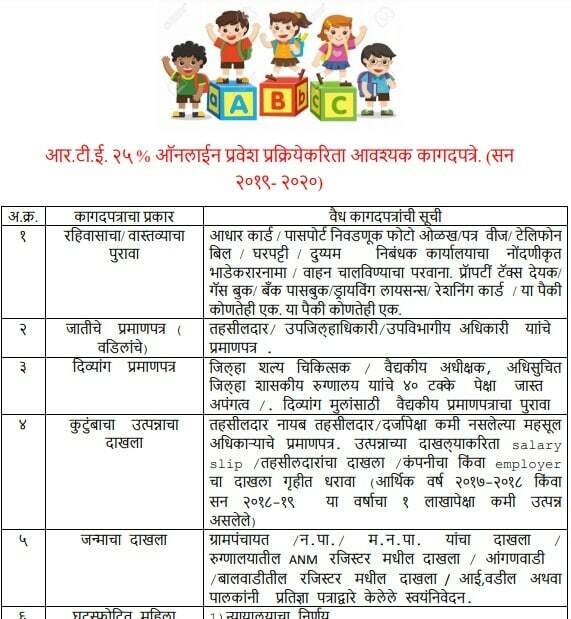 Interested candidates can apply online for rte 25 admission maharashtra 2019-20 through the official website rte25admission.maharashtra.gov.in or student.maharashtra.gov.in. RTE Maharashtra admission process for school going students is available in this post to assist them in applying online against seats reserved for them. 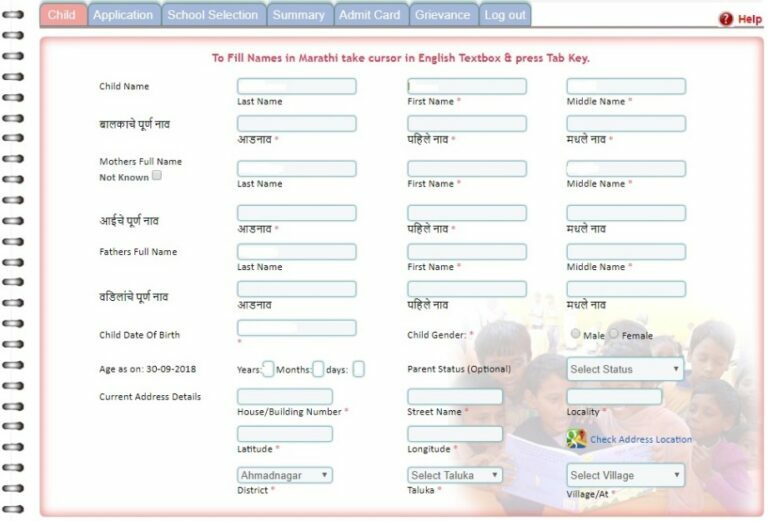 All the students can fill RTE Admission 2019 Maharashtra application form after making rte25admission login. As per the official statement, RTE Maharashtra Admission 2018-19 online application procedure for students in FY 2019-19 is similar to the previous year. Under Right to Education (RTE) Act of 2009, there is 25% reservation for the school children to get admission in reputed schools located in different cities of Maharashtra. RTE Maharashtra 2019-20 Admission last date will soon be notified on the official portal. Here candidates can fill all the details accurately and click at the “Register” button to complete the registration process. 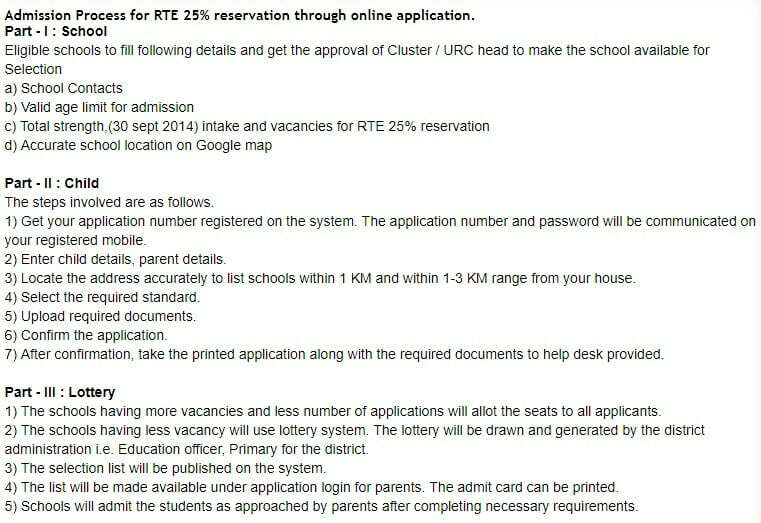 Afterwards, the students can make RTE 25 Admission Login with their User ID and Password. All the candidates can fill details correctly and can submit the completed application form to 25% reservation for admission in govt. / govt. aided schools of Maharashtra. The Students Registration Process for RTE Admissions for Nandurbar, Sindhudurg, Osmanabad, Sangli, Ratnagiri, Amravati, Hingoli, Parbhani, Solapur, Bhandara, Dhule, Jalgaon, Buldana, Raigarh, Thane, Satara, Nagpur, Pune, Kolhapur, Palghar, Jalna, Chandrapur, Ahmadnagar, Aurangabad, Bid, Gadchiroli, Wardha, Latur, Yavatmal, Nashik, Akola, Washim, Mumbai, Nanded, Gondiya will start soon. Then click at the “List of Schools” tab under the ‘Notification RTE 25% Reservation’ section to open the search window for school. Here candidates can enter the state, district and then select block or school name and click at the “Search” option to open the complete list of schools. After the successful submission of applications for RTE Maharashtra Admission 2019-20, the list of selected students is going to be published online. Candidates would be able to find their names in the selected students list against seats reserved for them.